We may not have had a white Christmas this year but we saw plenty of the white stuff in 2018. 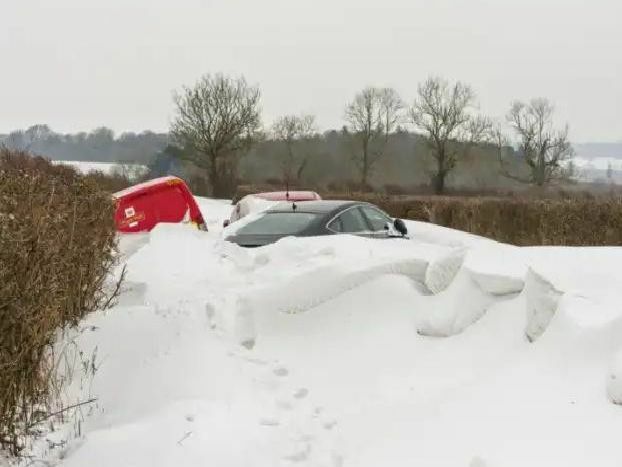 When the 'Beast from the East' hit at the end of February and into March, it left cars stranded, road impassable, public transport ground to halt and hundreds of schools closed. We take a look back at some of the memorable photos from the big freeze. James Smartt of West Hunsbury donned a large coat and slippers before stepping outdoors to grill burgers and sausages for his wife, Holly and their four sons.